Havant & Waterlooville’s footballing heroes will start their first season in the Vanamara National League with sponsorship support from at-home mobile and tablet repair service WeFix. 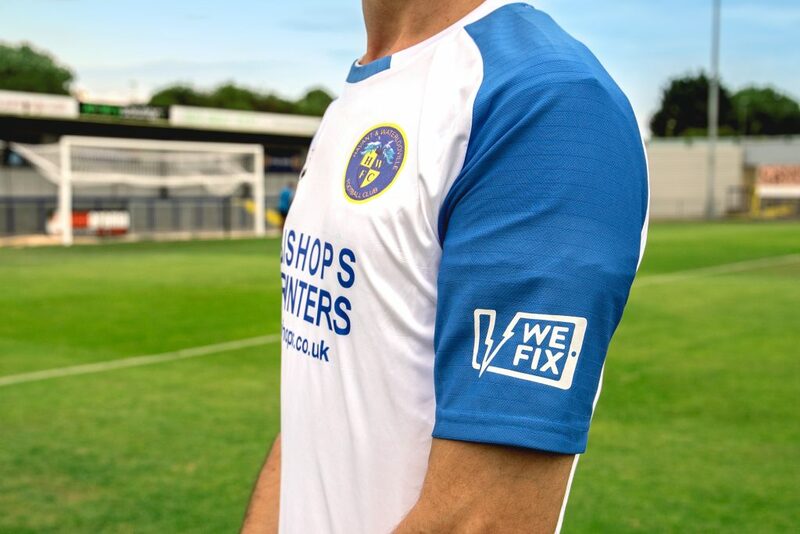 The players, who secured promotion to national level after topping the National League South last season, will proudly display the WeFix logo on the sleeves of their kit throughout the 2018-19 campaign. The deal means WeFix, the UK’s only Samsung-approved doorstep repair service, will be seen by a national TV audience as weekend matches are broadcast live on BT Sport. WeFix has grown rapidly since receiving a six-figure investment from Onecom in 2017 and is on target to have 51 vehicles on the road by the end of the year. As part of the sponsorship arrangement, Onecom will be the exclusive telecoms provider for the club. WeFix repairs Apple and Samsung devices at the customer’s home or workplace from mobile workshops manufacturer-approved specification with genuine parts, specialist equipment and authorised trained engineers. The service is rolling out nationally and currently serves Brighton, Bristol, Bournemouth, Cardiff, Coventry, Edinburgh, Essex, Glasgow, Kent, Leeds, Liverpool, Luton, Newcastle, Manchester, Norwich, Nottingham, Portsmouth, Reading, Sheffield, Southampton, Stoke on Trent and Wolverhampton.